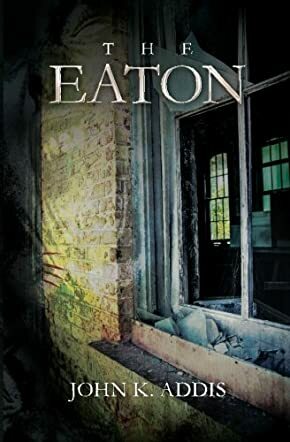 The Eaton by John K. Addis tells the story of Sam Spicer, who purchases the long-abandoned Michigan Central Railroad Depot in Eaton Rapids with the dream of opening a hot new martini bar. But he and his friends discover an abandoned underground hotel directly beneath the property, and they try to find out what happened to the original guests. Unfortunately, a terrifying secret from the past awaits them. Sam and his friends might never escape the abandoned underground world. The narrative’s back and forth transition between the present day and the past is well executed, showing Addis’ strength as a writer. His characters are compelling and clearly drawn. The plot is fast-paced, but has enough room to let readers know all the necessary details about what happened in the old Victorian hotel. The story does remind me of Stephen King’s works, but I personally felt Addis excelled more in characterization and storyline structure. The ending is solid; it has a gripping finish like some of the best horror novels that I’ve read before. Needless to say, I enjoyed The Eaton. It’s an out and out thrilling horror and an absolute page-turner – it had me wanting “just another chapter.” But it is, I think, also a little more than that. Addis explores a number of very contemporary and relatable concerns here regarding the relationship between the characters as well as their past. This is a great read and I guarantee horror fans are about to be as hooked in as I was.